The busyness of Christmas raced by, along with moving two of our children into their new homes, and I found myself exhausted. I woke up this morning to the winter wind howling outside my window, and the cat meowing for her morning breakfast. Things settled in around me and I began to feel a little dismal. Something about not leaving the house for the past four days was starting to get me a bit stir crazy. As I scooped up my books and my Bible to head into my office, I looked at the kitchen clock and thought … oh, good, it’s only a quarter to nine. I’ll get quite a bit of work done before the calls start pouring in and the emails and text messages need my attention. I opened my Bible to God’s Word, and the scripture that jumped out at me this morning was the story of Jesus walking on the water. When Peter asks if it’s really Him, Jesus calls out to Peter and says, “Come out to me.” As Peter puts his foot over the side of the boat, the winds whipping and blowing all around him, he begins to make his way to the Savior out in the middle of the lake. But something happens! Peter looks back down at his own feet, his eyes are off of the Savior and on himself. His fear of the waves and wind takes over and he begins to sink. Down, down, down, he goes, into the darkness of the early morning hours and the murky waters. He is no longer a water-walker because he has taken His eyes off of the Savior … the only One who can help us walk on this Lake of Life. As I look up from my Bible, I notice that it is still a quarter to nine. Oh, that’s nice I think. I have a lot of time before people start calling me. I continue to read through scripture, realizing that this has become my number one problem. I awake every morning to a huge list of tasks. To create, develop, and lead a ministry is an overwhelming, mind-stretching, faith-building journey, one that I am still growing into, and so my fear begins as the day starts. The fears of winds blowing and waves pulling me under are ever frequent. No, they are constant. But when I reach out to the Savior who is saying, “Come on, Kathy, I gotcha,” I feel a comfort and begin to realize that I am not alone. I cannot do life by myself. I cannot face these tasks alone. I cannot make life altering decisions without sinking … but Jesus can help me. Jesus will help me. The computer is dinging now with emails as I look up at the clock. Hmmm … it’s still a quarter to nine. And now I realize … time has stopped for that clock. Nothing has changed. Nothing is different. And suddenly it all makes sense to me. What God is speaking to my heart this morning is so very clear. Unless I make the effort to change that battery in the clock, it remains stalled out … it will not move or change. Unless I make the effort to go meet Jesus on the water, as Peter did, I will remain stalled out. If I allow my fears of failure or trouble overwhelm me, I will not move or change. 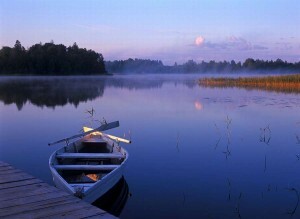 I will remain seated in the boat of my life and unable to walk on the Lake of my own life. I have installed the battery in the clock now and time is ticking by. 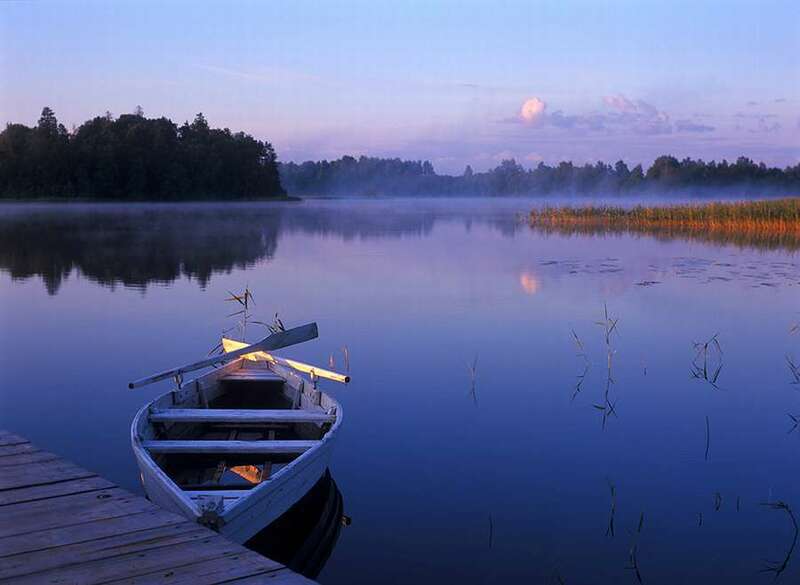 The phone is ringing, the emails are coming in, and the text messages are many, but I remain quiet in the boat of my thoughts. To all of us today, and throughout this next year, let’s get out of our boats. Let’s have faith in the One who says, “Peace be still,” to the wind and the waves. Let’s meet Him in the middle of our Lake of Life. Let’s believe that He has the power and IS the power to see us through. And the clock ticks on.